As we officially head into summer later this month, Quilt members UEN, OSHEAN, and I-Light/Indiana GigaPoP have some great events lined up for their member communities in June. 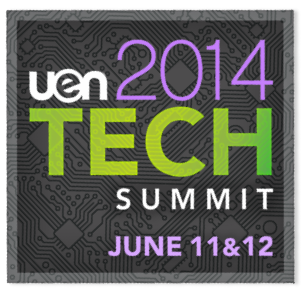 The Utah Education Network (UEN) will host UEN 2014 Tech Summit on June 11-12 at The Loveland Living Planet Aquarium. This new facility in Draper is nearly 140,000 square feet and features marine, freshwater, and rain forest exhibit galleries, a banquet hall and an education center with classrooms. UEN is pleased to welcome keynotes Steve Eldredge and Robert Sears for this year’s event. Steve is a senior manager at Adobe Systems and currently serves on BYU’s Marriott School Undergraduate Advisory Board mentoring young entrepreneurs and business students. Robert works with N-Wave, NOAA’s science network. During his talk, he will discuss how this infrastructure supports NOAA science. The agenda also has many more great topics for participants. This looks to be another awesome event planned for this year and showcased on a fantastic event landing page. 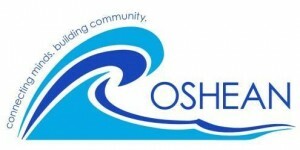 The Ocean State Higher Education Economic Development and Administrative Network will host the 2014 OSHEAN Member Forum on June 13 from 8 a.m. to 5:30 p.m. at the New England Institute of Technology in Rhode Island. During this year’s forum, OSHEAN and participants will explore a variety of technical topics with presentations from members and experts on Web Filtering, Desktop as a Service (DaaS), Data Storage, Cloud Computing Solutions, VoIP Services and more. Click here to review the agenda, or to review the detailed agenda, click here. Registration is open until the day of the event. More than 100 people already are planning to attend. Register now. 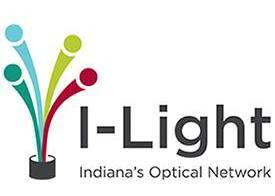 I-Light and the Indiana GigaPoP will host a Members Meeting on June 19 -20 in South Bend at the Morris Inn on the campus of the University of Notre Dame. Topics this year include cloud “infrastructure as a Service” 101 and tour of Amazon Web Services, the I-Light and Internet2 Net+ partnership on delivering cloud services, infrastructure support models and cyber infrastructure for research, identity management, campus WiFi pilots, and a great panel discussion on NSF CC*IIE. Click here to register for the conference. You also can view the conference agenda and see who is attending this year by clicking here.